The 2017 All Ireland Champions, Longhorns RL, continue their win streak with a young side as Tribesmen fall in match for the ages. 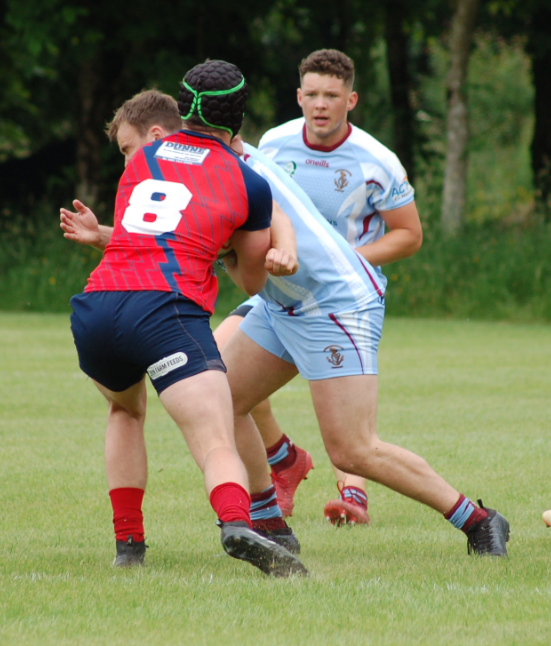 The Galway Tribesmen entertained the current All Ireland champions Longhorns RL in the picturesque setting of NUIG Dangan last Saturday in round four of the Rugby League Ireland championship. The game was always going to be a keenly fought contest with arguably the two best teams in the country going head to head and they didn’t disappoint the substantial number of supporters that gathered. Both defences were severely tested in the opening quarter as both teams looked for an opening. 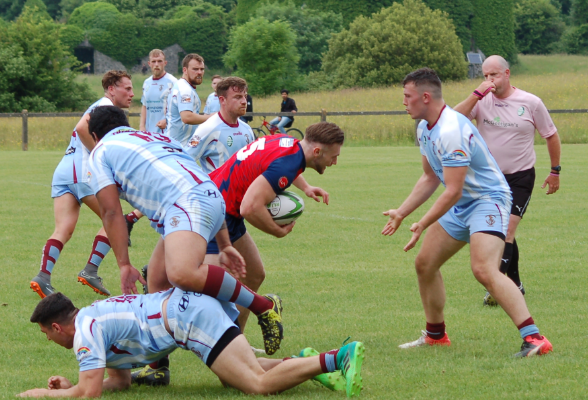 The Tribesmen conceded a number of penalties to give the Longhorns good field position and they eventually opened the scoring after the 20 minute mark through Andrew Coade who converted his own try. The Galway men reacted quickly and a good break down the left edge by Ed O’Keeffe, set up Shane Faulkner to cross the line. With the conversion added the scores were level at 6-6. It wasn’t long though before the Meath men crossed again through Matt Connolly to add to their lead after some clever play in the mid field. But once again, the Tribesmen hit back through Daithi Joyce who scored in the right hand corner after the forwards had laid a solid platform. The Tribesmen continued to apply pressure and added 4 more point through back rower Gavin Dolan just before half time. The scores were now 14-10 to the Galway men and that is how the half ended. When the match resumed after the break, the Tribesmen continued to apply the pressure with halfbacks Peter Connolly and Daithi Joyce moving their forwards around well. A break down the middle allowed substitute Nacaneli Susi to cross for a further 4 points and the score was 18-10 to the good. The Tribesmen were now in a seemingly comfortable position and could now look at closing out the match. However, ill-discipline and sloppy play crept in from the Tribesmen along with determination from the young Longhorns side, saw them score two tries and a conversion in quick succession to edge ahead again at 18-20. 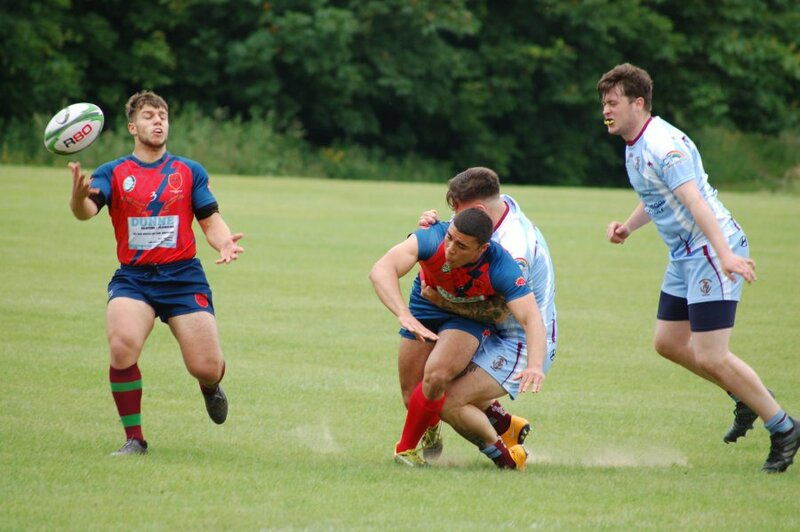 The Tribesmen tried desperately to regain a foothold but the Longhorns showed their champions credentials as they turned up the pressure and added a couple more scores through talented centre, Kevin Varga and another from captain, Andy Coade. As the game drifted from the grasp of the Tribesmen with the clock ticking, the Longhorns added another try to add insult to injury which put the scores at 18-36 to the opposition and this was how the match ended. Although the final score was not a reflection of how play went up until the last 15 minutes, the Galway men will now have to get back to the training pitch to iron out their inconsistencies if are they to present a challenge for the honours at the business end of the season, while the Longhorns will head to Athy this weekend who play the Sharks.